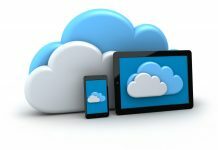 Some people believe that you need a very powerful computer or laptop in order to be able to stream your favorite TV shows and movies from services like Netflix, Hulu or Amazon Prime Video, but the truth is that you can also do that perfectly fine on a cheap tablet. This means that you don’t have to spend a fortune buying the latest tablet on the market as there are still a lot that are powerful enough to offer you a solid streaming experience at a low price. And in this article we’re going to talk exactly about that: the best cheap tablets for watching Netflix, Hulu or Prime Video in 2019. For those that are not very tech-savvy, it’s worth mentioning that you also need internet connection in order to watch Hulu or Netflix or other online videos on your tablets, so if you have WiFi at home or work or wherever you plan to use the tablet, you will be fine. Although the market for tablets is not that hot and quality tablet releases are few and rare, we still did our best to share with you the more recent tablets available for a low price, so that they don’t become obsolete too soon. These tablets are also powerful enough to still run other apps and games – so you can get the full experience from them. Based on our experience, tablets have a longer shelf life than smartphones, making the costs even lower in the long term so, despite their dwindling popularity, they are actually a very solid investment. 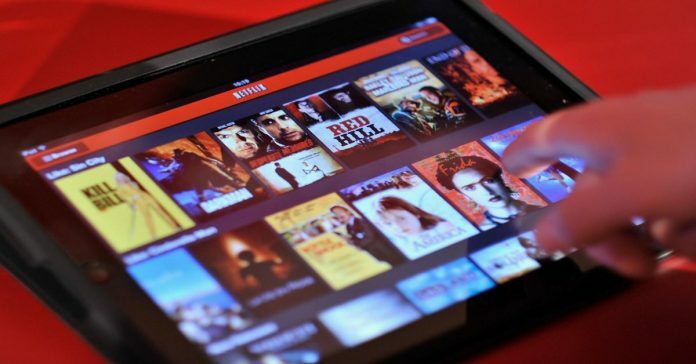 Now let’s find out more about these great cheap tablets for watching Netflix or Hulu online, listed from the cheapest to the most expensive at the moment of writing this article. If we’re talking about solid, extremely budget friendly tablets, we can’t get something better than the LG G Pad X2. And for its extremely low price, this tablet has a lot to offer, especially when it comes to streaming movies online, which it does without breaking a sweat. It’s a smaller tablet with an 8 inch screen, but it’s still way larger than a phone, so the image looks better, making it a lot easier to watch movies, TV shows but also read or play games on it. And although tablets don’t come with HDMI ports, you can still use something like Chromecast to broadcast on your TV if you want to (and if it is possible). 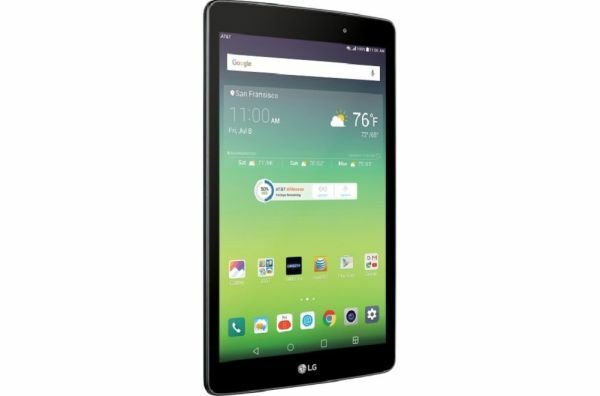 But if you’re looking for high portability, high quality and great speed, the LG G Pad X2 is the best option if your budget is extremely limited. Coming with 2GB of RAM and an extremely solid octa-core processor running at 1.4 Ghz. It only offers 32GB of internal storage, which is not much, but you can add up to 2TB of extra storage thanks to its microSD slot. But if you only want to use it for streaming your favorite shows, 32GB is more than enough. Despite its low price, this cheap tablet offers native full HD full HD resolution, meaning that the movies and shows you will stream from Netflix or Hulu will look really good. And you can get up to 8 hours of continuous streaming on a single charge, which is enough for a binging marathon! As a downside, just like most tablets out there, its camera doesn’t really impress: just 5MP cameras, both forward-facing and back! But overall, this is a really great find for the price! We’re sticking to lower displays with this 8″ alternative to the LG G Pad. 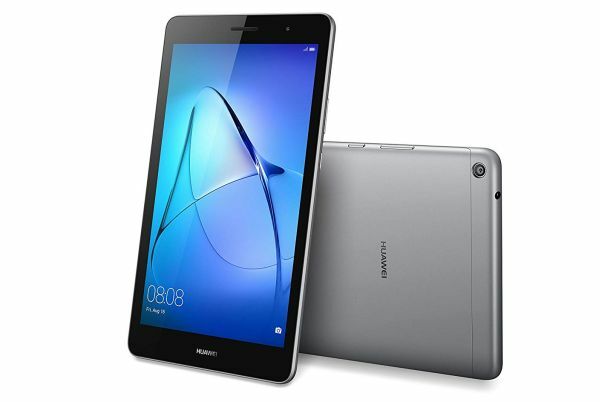 The Huawei Mediapad T3 is also an amazing tablet that doesn’t break the bank, one that enjoys great reviews worldwide and it’s appreciated by its users. Even more, I am personally becoming a big fan of Huawei products – they’re cheap, but of extremely high quality. Now almost any new purchase I make is a Huawei and I’ve never had any problem with their products! Back to the Mediapad T3, it has some better stats and extra bells and whistles to make it an even better choice than the one above. For example, it comes with a handprint reader, improved sound quality thanks to Huawei’s proprietary technology and a low light or night mode to protect your eyes. In terms of performance, things are looking really good too. It is powered by a super-fast 1.4 GHz Octo-core processor and has 2GB of RAM to keep things running smoothly. It’s not a full HD tablet, offering resolutions of 1280×800 pixels, but on its small 8″ screen, you get crystal clear image quality, perfect for streaming movies and videos online. It’s also slim and light, extremely portable and has a really good design. Overall, Huawei is establishing itself as an important company in the mobile market and even though this tablet is not that spectacular, it is cheap and fits the bill for us. Amazon’s own tablet has never excelled and wasn’t able to compete against the top products in the world, but for cheap tablets, it’s a great choice. It also comes packed with a lot of Amazon-specific features, so if you’re a regular customer, there’s even more bang for your buck if you get a Fire tablet. This is also a tablet that’s constantly getting top ratings from its users, meaning that they are generally happy with it. And there’s really nothing to complain about, since it has some great specs. For starters, it offers processing speeds of up to 1.8GHz thanks to the quad-core processor and 2GB of RAM, backed up by 32GB of internal storage which can be increased by up to 256 GB via a microSD card. This is also a larger tablet, standing at 10.1″ – the largest Amazon tablet, but also the thinnest. It offers great image quality at full HD, 1080p resolution, with wide viewing angles, less glare, and more brightness thanks to a beautiful IPS LCD display. It has Alexa integrated and if you’re an Amazon Prime member, you have access to tons of extra content for free, from magazines to books and movies. One of the biggest problems is the quality of the cameras, which is sub par (for example, the main camera only offers 2MP). 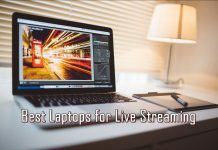 But if you’re not taking it for shooting photos and just for watching Neflix, Hulu or Amazon Prime movies and shows, as well as playing recent games and browsing the internet or reading books, it’s really good. 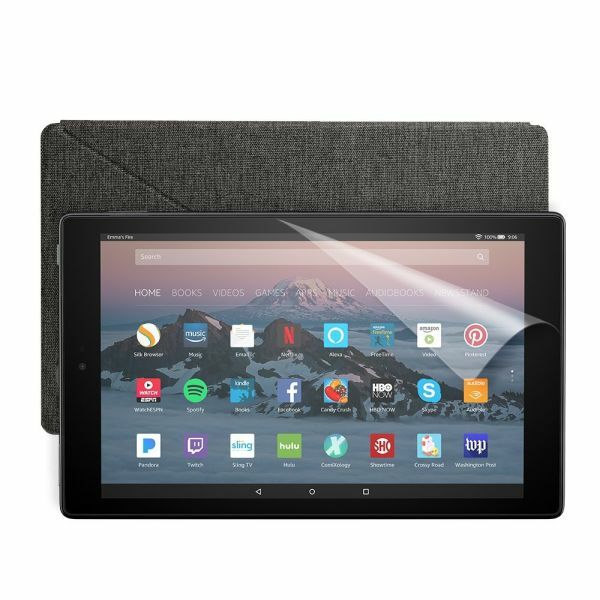 This particular offer that we found offers even more value for the money, as it’s a bundle that also includes a screen protector and case for the tablet, so you don’t have to worry about paying extra on for them! So definitely check it out, especially if you’re an Amazon regular or you plan to become one. One of the best known brands when it comes to Android tablets and smartphones, Samsung is fortunately present on our list this year, even though the price of their tablets isn’t that low. 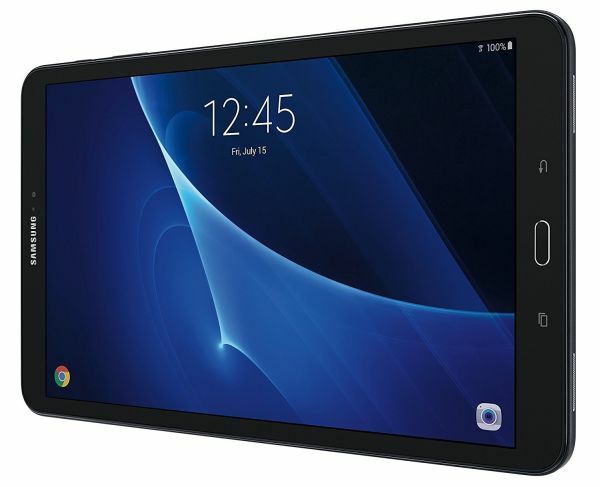 And even though the Samsung Galaxy Tab A isn’t the best tablet on the market, it’s a Samsung product that works really well and is backed up by tons of great reviews. This tablet has a good processor that helps it run apps and everything else at decent speed: the 1.6 GHz Exynos 7870 octa-core processor, which is the best on our list. It is also paired with 2GB of RAM to keep things running smoothly. In terms of internal storage, we only get a measly 16GB, but fortunately this product that we found comes bundled with a 32GB microSD card for extra storage – so you don’t have to spend on one right away. Eventually, you will most likely want to increase your storage even more and if you do, you’ll have the option to do so by up to 200GB more. This is also a large tablet, with a 10.1-inch display and offers a stunning full HD resolution. This tablet also has the best battery life when compared to the others on the list, thanks to its 7,300mAh battery. So all in all, even though a bit more expensive than the rest and despite the very low internal storage, this Samsung-made tablet remains a really solid option, especially for those looking to buy from a well known manufacturer. Speaking of well known manufacturers, you can’t ignore Apple. And even though iPads (or any Apple product) don’t really go well on list of cheap anythings, we’ve managed to find a tablet that Apple fans will definitely love. 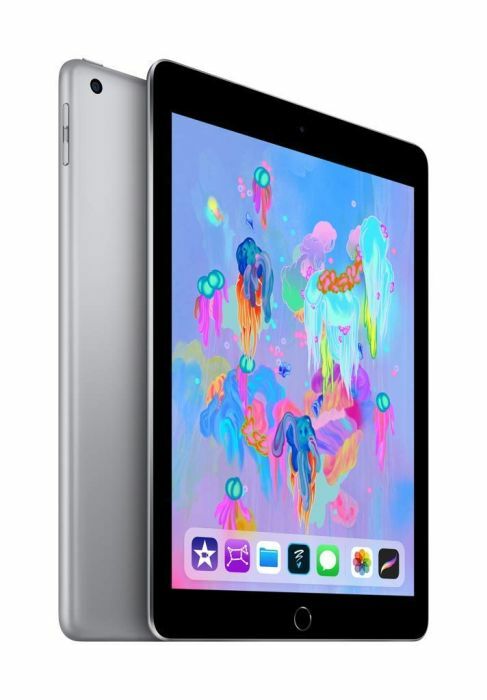 It is clearly the most expensive on our list and, at least when it comes to specifications, not the best, but if you must have an Apple tablet, the latest iPad that we managed to find for you will do a good job. Powered by Apple’s A10 Fusion chip with desktop-class architecture and 2GB of RAM, this tablet moves fast and nice, just like all iPads do. We’ve extensively used it though and there are no real reasons to complain regarding the speed: everything, from video streaming apps like Netflix or Hulu to recent apps and games work flawlessly on this tablet. We would complain about the limited storage space though: the cheaper option only offers 32GB of storage and since you can’t use a microSD card to increase it, you’ll eventually run into storage space related problems and you’ll have to uninstall apps or delete photos and videos (the latter two being the biggest space eaters generally). But if you can deal with the limited amount of storage, you’re getting all the specifications of a current generation Apple iPad and the price is really good. You also get a decent camera for taking photos – although at just 8MP, and a not so good front-facing camera (1.2MP). But all in all, this is a solid tablet that will most likely deliver great performance for a long time. 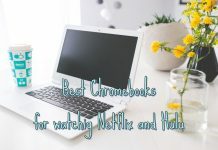 These are our choices for the best budget tablets for watching Hulu and Netflix in 2019 – as well as other live streaming service out there. It’s true that you can buy a more expensive and slightly better tablet in terms of specifications, but if you get it mainly for streaming your favorite TV shows and movies, any of the recommended products above are just perfect! Update notice: This article has been updated in 2019 in order to include more recent cheap models, to make sure that you’re always buying the best product available on the market.